Wouldn’t it be nice if your swimming pool took care of itself? 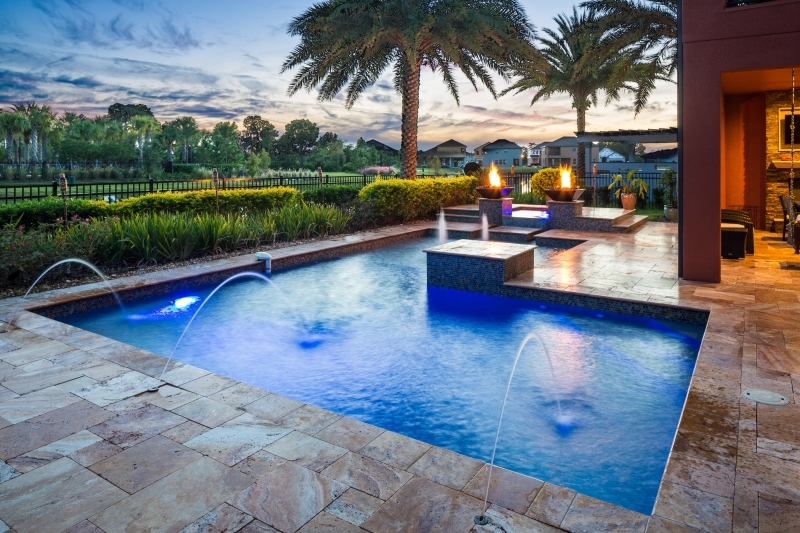 With new pool automation technology, you can handle all the labor-intensive, and sometimes tedious, work of sanitization, pH balancing, keeping the pool clean, and taking care of the filtration systems all with no more work than pressing a few buttons. Sometimes, you don’t even have to press anything. It all just takes care of itself! Better yet, swimming pool automation can save you money. In fact, you can save up to 70% on chemicals and energy costs by automating many of a pool’s essential functions. And if you’re really into the cool tech stuff, you can use voice automation system, like Amazon’s Alexa, to adjust the lights and get the hot tub bubbling. When people think of tedious pool work they often think of standing on the edge of the pool and fishing out stray leaves with a net. Not to mention cleaning the dust and rocks that can collect at the bottom of pools. This can leave your pool looking dirty and not very appealing. Now, enter the robotic pool cleaner. This is much more than the old suction or pressure cleaners. These robotic cleaners use sensors, algorithms, and new pool cleaning technology to make sure the entire pool gets cleaned, including scrubbing the walls. Your new swimming pool will be effortlessly spotless! A real concern many people have when it comes to installing a new inground swimming pool is safety. Swimming pools, like almost anything, can be hazardous without proper supervision and if certain safety precautions aren’t taken. However, swimming pool alarm systems go a long way to adding an extra layer of security for worried homeowners. These alarms have been rated up to 100% reliability in detecting any large object falling into a pool. In this case, “large” means anything bigger than a twig. With one of these in the pool, you can feel confident that your family is safe. Keeping the water clean from debris is one thing, but what about making sure it has the right chemicals? Nobody likes dirty water and nobody likes burning red eyes. So how do you find the right balance? Luckily, you can just use a remote water chemistry monitor to take all the guesswork out of maintaining proper water chemistry. With a remote water chemistry monitoring system, all those things like pH, calcium hardness, alkalinity, and chlorine levels are continuously monitored by a device that floats in the pool and sends a message to your smartphone when the water needs adjusting. How easy is that? Even with the latest technology, a swimming pool is only as good as its construction. That’s why you should choose Tampa Bay Pools to build your Tampa Bay, Brandon, Clearwater or surrounding area pool. With the right combination of old-fashioned quality and new technology, you’ll have a pool that looks amazing, is easy to take care of, and that you can enjoy for years and years to come. How Do I Get Started Building My Pool?